The north of Sweden is covered by snow for half of the year and skiing has always been an important way of traveling. 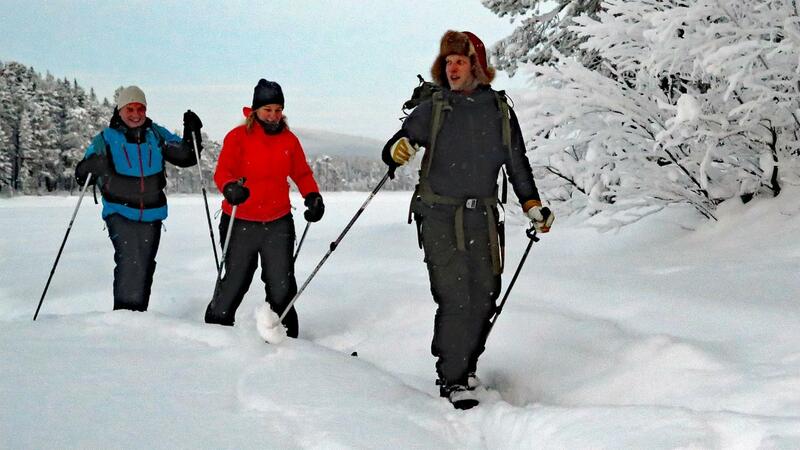 Join us on a ski trip through the snow-covered forest just outside Jokkmokk. We eat lunch prepared over the fire finished with a warming hot drink. No previous experience from skiing required. We'll pick you up outside Akerlunds hotel in the center of Jokkmokk. Bring warm clothing and shoes, a water bottle and a camera. Online bookings can only be made until 18 hours before the tour starts. For last minute bookings please contact us for availability check.